Here in the area around the monasteries where there is unlimited space for horse riding, you ride through the quietness of the nature. 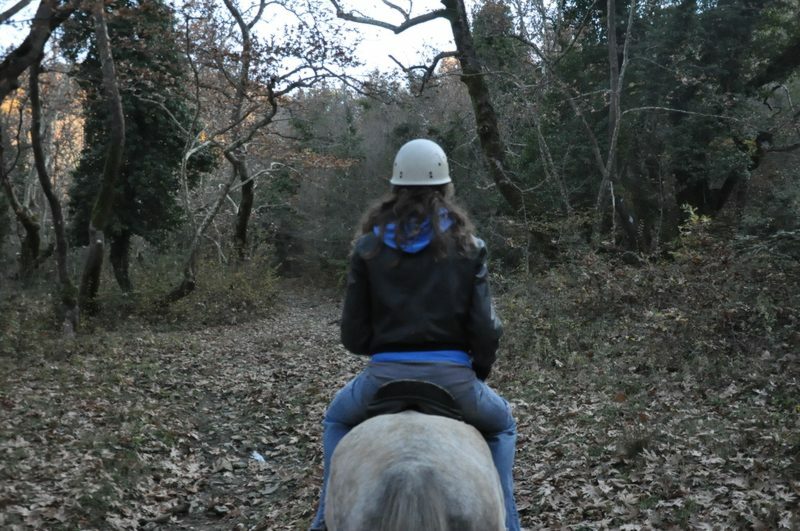 We ride active through the olive groves and hills, ride through the forest till the Iera Moni Sotiros. Every day we set out on a new track, with our beautiful horses. Jorgina, Julia and Jenny, the three female horses were born and raised in Skopelos by the Chasiotis family, who trains horses for decades. This stationary riding holiday is suitable for everyone. The duration of the ride is 2 hours and the price is 40 euros per person.